Provide comfort for the family of Shana Gumbs with a meaningful gesture of sympathy. 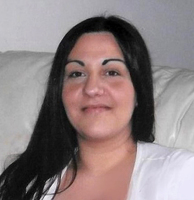 Shana L. Gumbs, of High Street, Westerly, passed away at her home on Monday, March 25, 2019 at the age of 34. Born in South Kingstown, RI, she was the beloved daughter of Robert T. Gumbs of Westerly and the late Barbara L. Gumbs. Shana was a loving mom, daughter and sister who will be dearly missed. In addition to her father, Shana leaves behind her precious son Trevor R. Gumbs of Westerly; her brother Gregory S. Gumbs and his wife Annette of Waterford, CT; several aunts, uncles, nieces, nephews and many cousins. To plant a memorial tree in honor of Shana L. Gumbs, please visit our Heartfelt Sympathies Store. We encourage you to share your most beloved memories of Shana here, so that the family and other loved ones can always see it. You can upload cherished photographs, or share your favorite stories, and can even comment on those shared by others.